Our standard bell fob features a new steel "jingle" bell, 1 1/2" across, on a bridle leather backing. The fob can be used to hold keys or used as a "bear bell" -- fasten it to your backpack, bicycle, or horse for hiking or riding the trails. The two leather rosettes behind the bell come in a variety of accent colors. 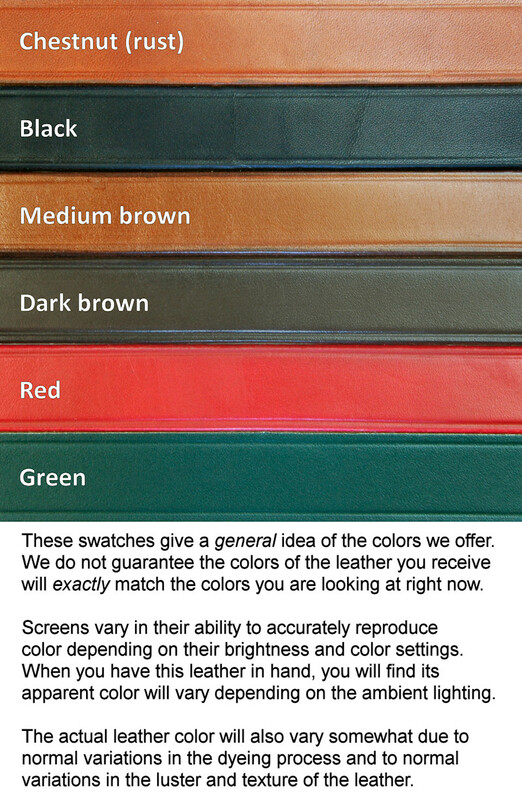 Select popular shades of the season or the colors of your favorite team, school, car, motorcycle, farm equipment, or company. Be sure to choose TWO colors of rosettes (below). We will choose which color is on top for best appearance. Overall length is about 3 1/2 inches.